Lee Hae Joon (Rain) is a perfect man with good looking appearance. He works as a section chief in the women’s apparel section at a department store. His body is actually possessed by the spirit of Kim Young Soo (Kim In Kwon) who was worked to death. Meanwhile, Hong Nan (Oh Yeon Seo) is a beautiful woman, but her spirit is possessed by a tough guy, Han Ki Tak (Kim Soo Ro). At the same time, Shin Da Hye (Lee Min Jung) is a beautiful housewife, but her husband suddenly dies. 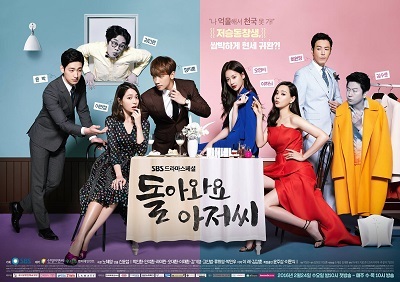 She falls into a love triangle with Lee Hae Joon and a promising store employee Jung Ji Hoon (Yoon Park).